Our company holds immense experience in this domain and is involved in providing an exclusive range of Tulsi Leaves to our prestigious clients. These Tulsi Leaves are used to treat common cold, kidney stones, heart disorder and fever. Our precious customers can obtain these products at cost effective prices. 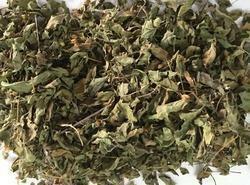 Ocimum tenuiflorum, commonly known as holy basil, tulasi or tulsi, is an aromatic perennial plant in the family Lamiaceae. It is native to the Indian subcontinent and widespread as a cultivated plant throughout the Southeast Asian tropics. 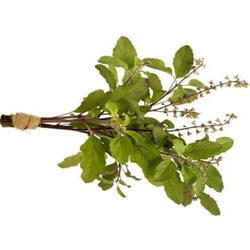 Among our wide range of products, we are offering a wide range of Tulsi Herb. We are renowned names in the industry offering wide range f Ayurvedic Tulsi that are acclaimed among the clients for optimum quality and effective results. These products have high medicinal properties and are delivered as per the preference. Our entire product range is quality assured and is delivered as per the exact preferences of our clients.